From Jane Valencia, a long time student and customer, and a fellow nature loving sister!! She’s a super talented woman, muscian, herbalist, and teacher herself . I love her new program Women’s Nature Ways!!! You will want to check it out! “First off, let me say that I’ve thought you were awesome ever since I met you and your banjo at the Traditions In Western Herbalism conference at Mormon Lake, AZ, a few years ago! 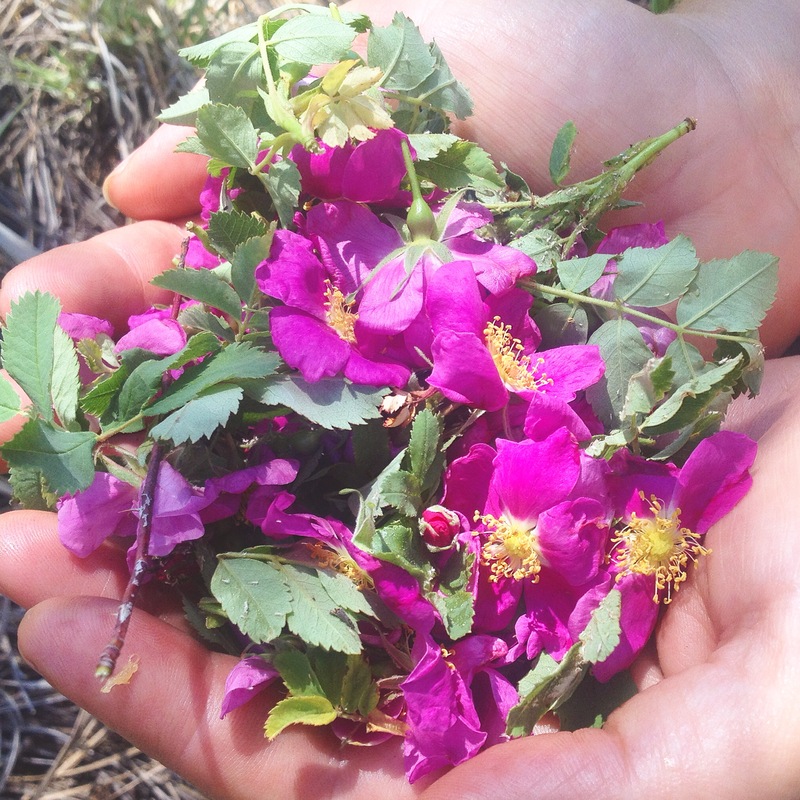 I took your Tree Medicine workshop, bought a tin of your lovely Masala Rose Chai, and that seemed to pretty much sum up in a nutshell what I’ve enjoyed about your teachings: You meet students where they are — be they beginner or experienced. And you offer and embody wise plant ways that are as beautiful, richly-spiced, yet as simply delicious as the chai. Even via online and ecourse — you’ve proven to be a caring, perceptive, insightful, knowledgeable guide into the sacred, welcoming, generous world of the plants. As a student in all your ecourses, I credit the Shamana Flora course with helping me truly grasp — and commit to daily practice — working with grounding and boundaries. So essential in healing work! Ditto, to including intention when working with plants. This course also led me to really source the many ways of experiencing and getting to know a plant: through experiencing it in myriad physical and spiritual ways, and tracking my own responses and impressions, in all levels of my being. Work in such a spectrum of experiences and responses gave me a sound foundation for truly committing to this path. You offer so many beautiful practices and wise words that I return again and again to this course for inspiration and techniques for refining my plant spirit ways practice and taking it the next level. No question — you walk the plant spirit way, and I feel so very blessed to have you as one of my teachers! My newest project and offering, created with somatic movement educator/therapist and nature educator, Stacey Hinden, is Women’s Nature Ways, a year-long transformational journey of quarterly retreats for women. In these retreats, held on beautiful Vashon Island in Washington, we’ll learn practices for awakening connection with bodymind intelligence and plant spirit. We’ll slow down and explore both in the studio and out in the land — moving, communing, wild-crafting, creating, cooking, visioning, and tapping into the wellspring of our most grounded, loving, powerfully-attuned selves. I’m particularly excited to explore bodymind intelligence in relationship to communicating with the plants, as I feel that the more fluent we become in the language of our own inner ecology(our bodies and bodymind) the more precise and creative we can be in working with our green allies — both as medicine for body and soul for ourselves, for offering plant support to others, and in co-creating with the plant spirits themselves!